Garden Summer Houses built like a bungalow! we were contacted by a lady in Surrey to create a space in here garden that had to have 3 uses! 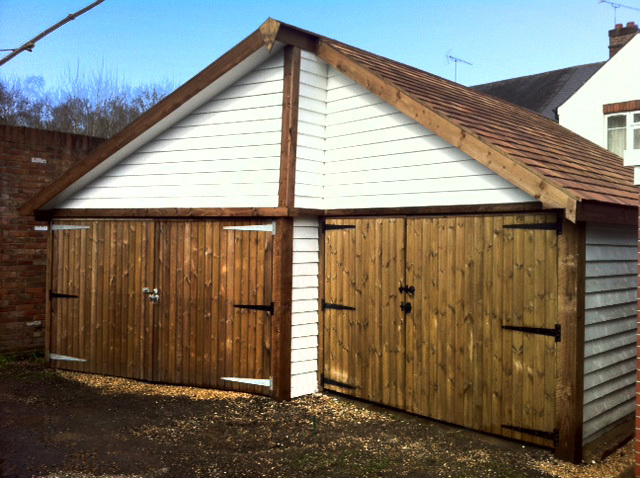 Summer house, Workshop and Garage. It had to be bespoke due to the size and shape of the plot and the 3 sections that together make an amazing useable space. 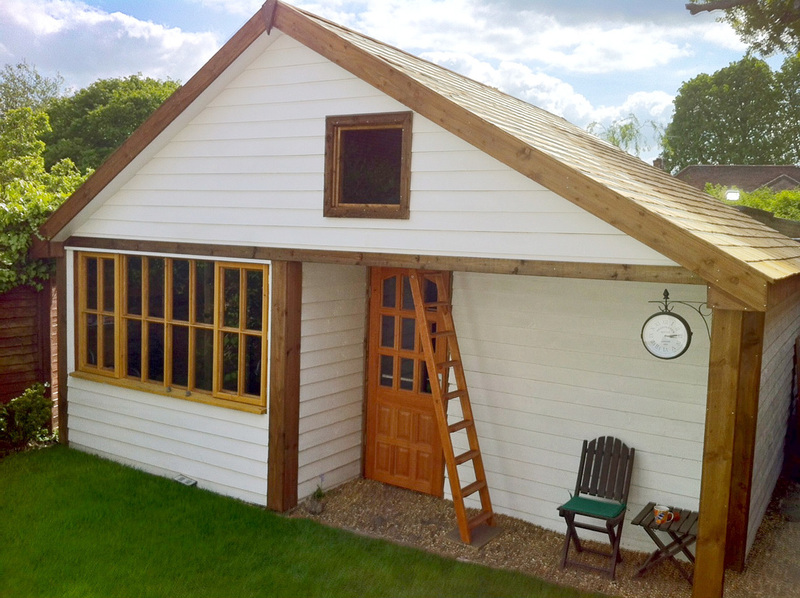 It had to also fit in with the look of her property, be fully insulated and be built to last. 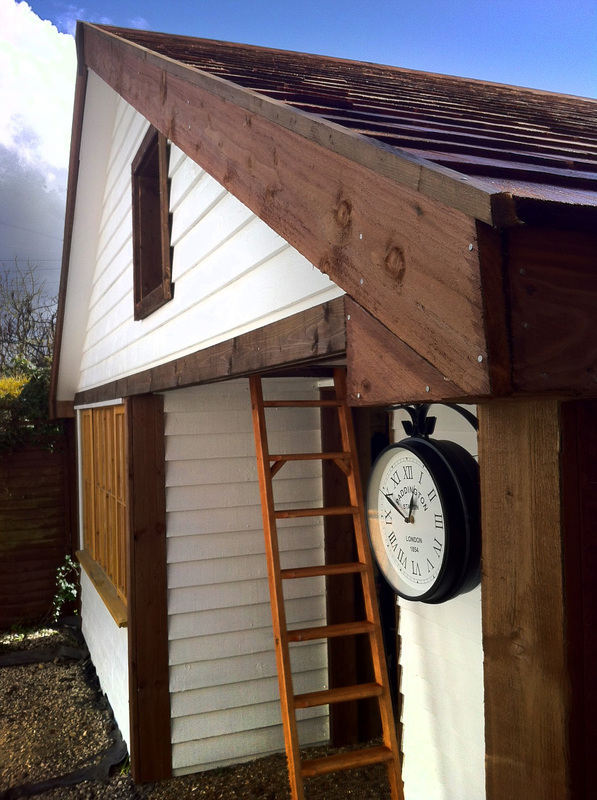 The painted featheredge, cedar roof tiles and stained beams fit in very well with the main house. If you have a space in your garden and need some extra room for a number of reasons and uses, please contact us for a site survey. 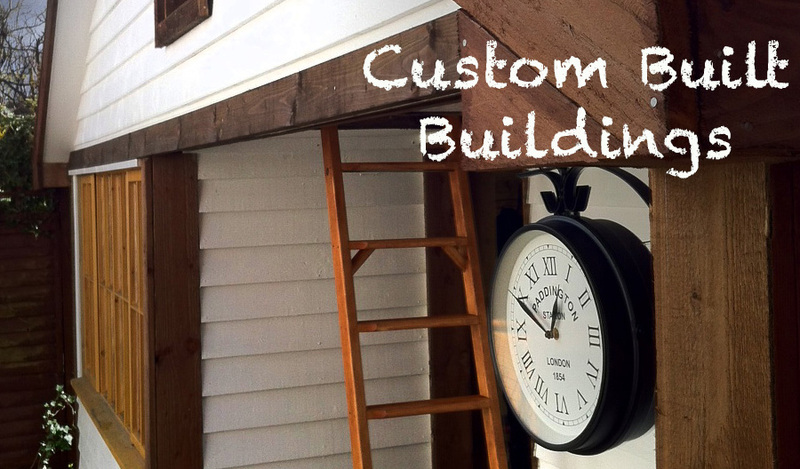 Your New Garden Summerhouse you have always wanted will be built to your own personal requirements. You could want a decked patio with it. Full height double glazed windows or bi fold doors. decking lights in the sofits to light your new summerhouse up in the evenings or the roof that overhangs the decking for those rainy days. 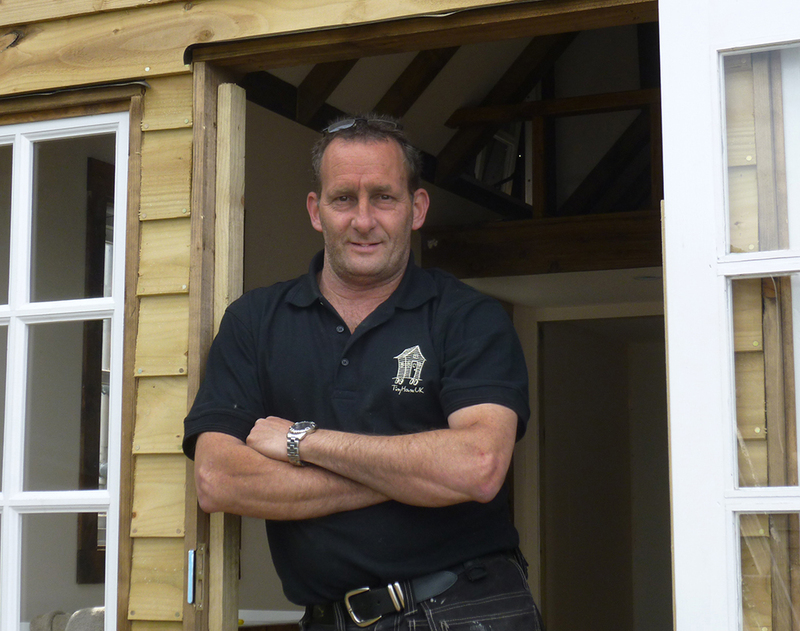 Specially designed summerhouses, chalets and annexes built in Surrey, Berkshire, North Hampshire and West London.